Island Royale is located .8 miles east of Hwy 59S at 809 West Beach Blvd in Gulf Shores, AL. 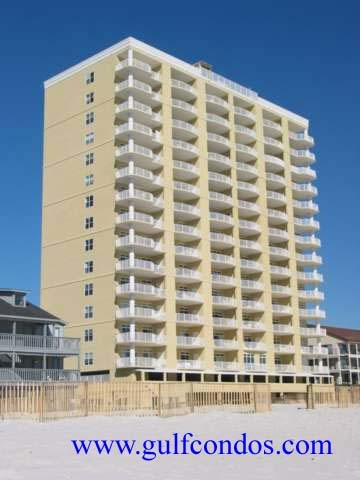 Island Royale is direct beach front, built in 2002. It has 16 floors consisting of 84 units of 52 two-bedroom interior units of 1100+/- Sq Ft, 32 three-bedroom corner units of 1300+/- Sq Ft and Penthouse unit of 4 bedrooms. Units ending in 01 are east end units and 06 are west end units, all corner units. 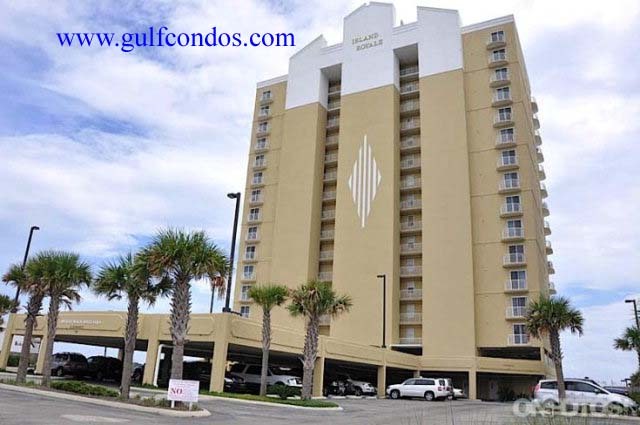 Amenities include: BBQ Area, Exercise Room, Fire Sprinkler System, Covered Parking, Indoor Pool, Outdoor Pool, All have Private balconies overlooking the Gulf of Mexico.